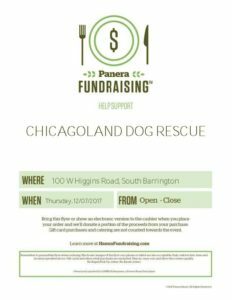 Join Chicagoland Dog Rescue and Panera Bread as we raise money for homeless dogs! 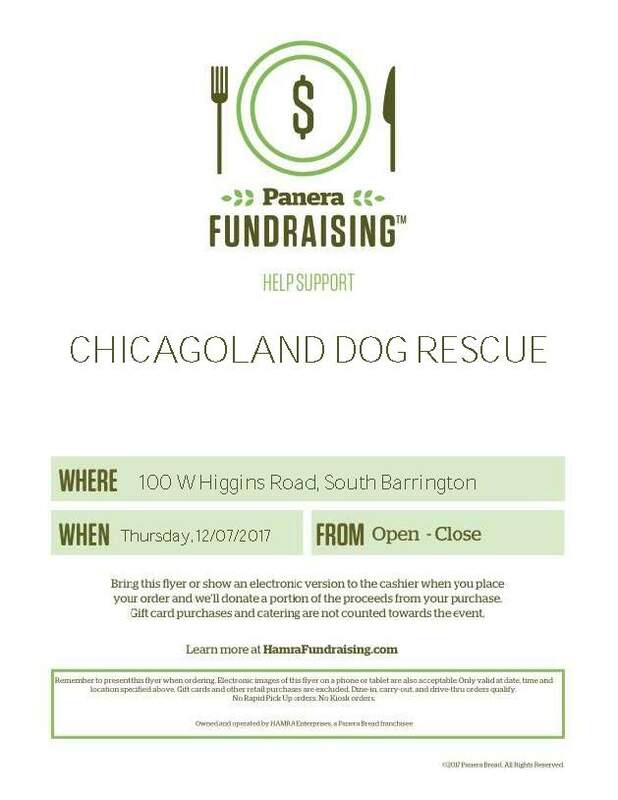 On Thursday, December 7th ALL DAY at the Panera in South Barrington, Panera will donate at least 15% of sales to CDR. – The fundraiser is for dining room and drive thru purchases. *Panera RPU, and phone orders do not qualify. Gift cards, Panera catering and other retail purchases are excluded from the event. – Supporters can show the cashier the flyer (in hand or on a mobile device) or just tell the cashier that they are supporting the fundraiser when paying at checkout.